With the etablishment of this field of study in 1905 a loose union of the Darmstadt paper engineers took place first. In 1927, a foundation meeting of the Academic Paper Engineers Association e.V. took place at the Technical University of Darmstadt. The "birthday" of the APV is stated as June 27, 1905. During the war years the association's activity was suspended. After the Second World War, the APV was officially re-established in the winter term 1947/48. For the first time, the lectures of the annual meeting in 1962 were published in the "Wochenblatt für Papierfabrikation". Since then, the series of lectures have become a quality label of the APV. Today, the association has almost 400 members, most of whom have studied paper engineering in Darmstadt. The association strives to promote the contact between the members of the association, as well as with the paper industry and its related branches, as well as the training of young paper engineers, and also to cultivate mutual relations. The association has neither political nor corporate character. Colors and badges are not maintained. The "Academic Paper Engineers Association at the Technical University of Dresden e.V. ", in short "APV Dresden" was founded in 1990. It is an association of graduates and students of the Department of Paper Technology at the TU Dresden. The association pursues exclusively and directly non-profit purposes. Its mission is to support the linking of the association's members with each other, as well as the paper industry and its related branches, and to support the education of young paper engineers, as well as nurture mutual relationships and support students. This is done i.e. by organizing the regular exchange of experience on occasion of an annual meeting and by establishing and maintaining contacts with executive boards of the paper, supply and processing industries. 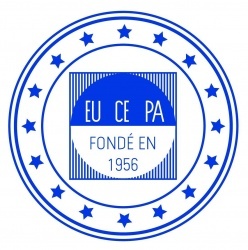 Founded in 1956 in Paris as a professional "non-profit organization", the EUCEPA umbrella organization consists of 14 national pulp and paper associations from 15 European countries, where scientists, engineers and technologists of this industry work closely with related industries along the paper value chain work together. The objective of EUCEPA is to create a network for mutual cooperation and support between member associations in promoting their individual goals. EUCEPA promotes international cooperation between its member associations and only undertakes those tasks that member associations can not carry out without assistance. Whenever possible, member associations coordinate the dates of European events and work together to organize thematic events. INGEDE - Internationale Forschungsgemeinschaft Deinking-Technik e.V. The objectives of the non-profit working association are to support members as well as students and graduates of the fields of printing presses and printing processes by further training in technical and scientifical respect as well as maintaining contact with scientific institutes and the relevant industry. By lectures, colloquia, working groups, excursions and social events, contact with the industry is established and maintained. Furthermore, students who study the subjects of printing machines or printing processes should be enabled to expand and deepen their studies. The contact across the borders to scientific associations should enable an international exchange of experience. The statutes of the VDD serve to achieve the goals. To become a member of the Association of German Print Engineers one has to be engaged in science, research and teaching related to the printing technology, the printing press industry and related fields. For more information on membership, contact the contact person listed on the Contact page. VPM - Vereinigter Papierfachverband München e.V. 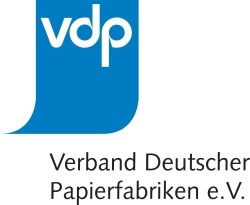 The German Pulp and Paper Association (VDP) is the central association of the German pulp and paper industry. It is made up of 105 enterprises that have affiliated to form the association. The VDP represents 90 percent of the industrial sector's production and turnover. It is thereby spokesman and stakeholder of Europe's largest national paper industry.